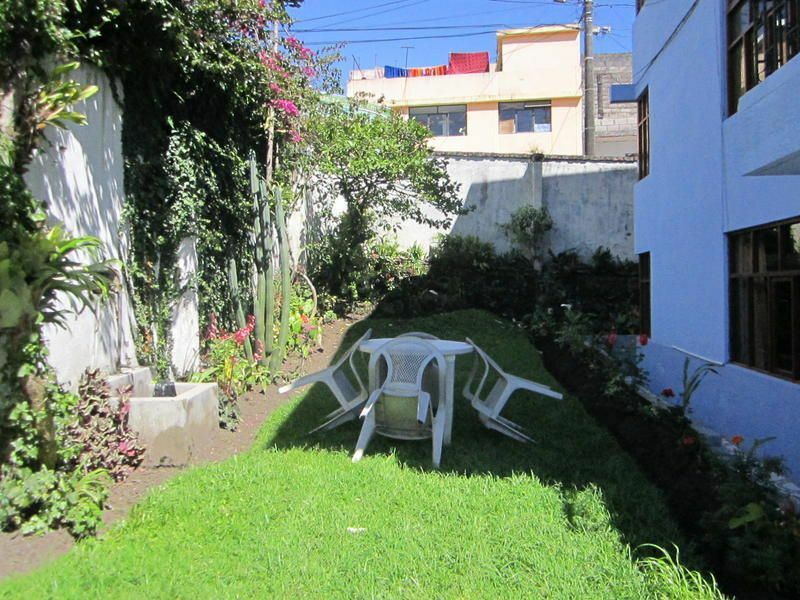 Princesa Maria is a hostel with spacious rooms each of them has private restooms (toilets), and strong hot showers 24/7, it is managed by a fammily that will do their best to help you to enjoy your stay in Banos-Tungurahua. We are not a party hostel, so this means, that we have the perfect spot for you to enjoy a few days doing activities such as rafting, cannyoningt, biking and/ or trekking, but we don't have a curfew so if you want to go out during the night you are free to do so, as at our hostel after 23:00 pm is forbidden to make loud noises you have the option to go to the party mile and enjoy your time in the many bars that our city has for you. We have a small kitchen that is actually really good if you are travelling for a long term, remember most groceries in Ecuador are really cheap, so you could save a lot of money cooking at our place instead of going out to spend money in any restaurant. We have a small garden full of exotic flowers such as orchids, anturiums and other special flowers and plants you wont find anywhere else, in here we have a small table where you can enjoy the breakfast you prepare by yourself at our cozy kitchen. 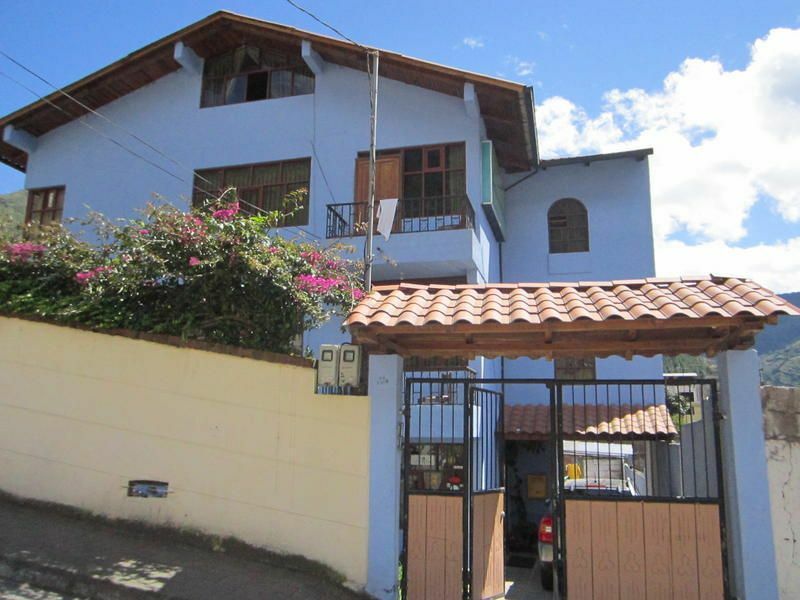 Al the rooms have wooden floor, and thick walls, it is specially good for the fammilies or for the group of friends that want a comfy place for the time the be in Banos-Tungurahua. As you know you cant smoke in the rooms but you can do it in the smoking area or in the garden. And if it is rainy you may just prepare yourself a cup of coffee and wait while watching a film until the rain stops. Housekeeping is included in the price, but you have to let us know one day in advance when you want us to clean your room (or only your restroom) as you wish. If you want fresh towels/ toilet paper just ask for it at the reception desk. Please Note: Princesa Maria is not a party hostel (No noise rule after 23:00 pm). No drugs allowed. Check in- 12:00 Check out -11:00 Cash only for payment of balance on arrival.